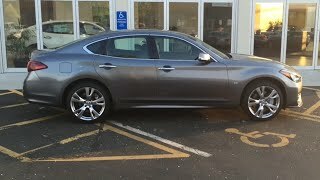 The fable of realm began back in the year 2010 with the Infiniti introducing its Sedan. At the very first glance the debut model caught a lot of attention and with every release in league the features kept on creating benchmarks. 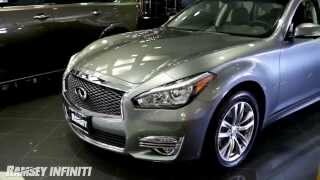 The same queue gets a new addition at the 2015 New York Auto Show with the unveiling of all new Infiniti Q70 2015. Let us scroll a little more to know the Q70 2015 closer and better. The interior of Infiniti Q70 2015 gets lot of modifications making it more serene and classy. Due to a longer wheelbase the Q70 2015 in its interior gets more space and thus bringing features like a 5.9 inch addition to the leg room. Apart from this the rear door gets an auto-close door feature which on its own closes door, rear seats now come heated with a 12v power outlet and availing both the rear passengers their own personal reading lights. Additional insulation for a trouble free journey and better sealing above the expanded legroom are also commendable additions. While the noise reduction feature cuts down the noise, newly added Bose Studio Surround stereo system with 16 speakers make the entertainment audible and clear. Other than these, what remained same are the driver-focused cockpit and leather works with beautifying stitching, which we believe didn’t need any change. 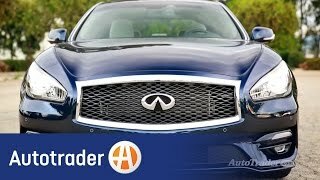 The exterior of Infiniti Q70 2015 is also sign of remarkable revision done. It starts with newly introduced head and taillights carrying amidst them the all new double arch grille above redesigned bumper with inserted fog lamps by sides. At the rear the trunk lid received a revised flat look while the bumpers add to the elongated look of Q70 Infiniti 2015. To add bit of aggression to the sedan 20” wheels have been fitted in all taking the exterior design to a next level. 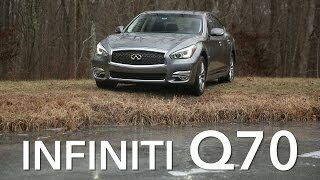 Both these engine variants get more powerful version with Infiniti Q70L versions. The Q70L version is available to both 3.6 liter V6 and 5.6 liter V8 with added features. 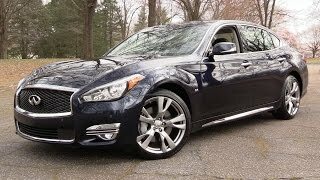 The pricing of Infiniti Q70 starts from $49,850 and goes till $67,050 depending upon the engine and further the version buyer opts.